Lead is a toxic metal. Its widespread use has caused extensive environmental contamination and has harmed human health in many parts of the world. Lead poisoning can lead to developmental, behavioural and neurological disorders, anaemia, tiredness and muscle weakness, as well as kidney and liver damage. Scientific studies demonstrate that there is no safe threshold for lead in the human body; efforts should therefore focus on minimizing exposure as much as possible. Such efforts are in line with Sustainable Development Goal (SDG) 3 (target 3.9): By 2030, substantially reduce the number of deaths and illnesses from hazardous chemicals and air, water and soil pollution and contamination. They also link to SDG 6 (target 6.3): Ensure availability and sustainable management of water and sanitation for all; and SDG 12 (target 12.4): Ensure sustainable consumption and production. WHO, together with the United Nations Environment Programme, leads international efforts against lead poisoning, including the annual international Lead Poisoning Prevention Week. This year’s week of action takes place on 23–29 October and places a special focus on banning lead paint. According to a WHO survey, 34 of the 53 countries in the WHO European Region report having legislation regulating lead paint in place. However, in some countries this regulation is not yet enforced. WHO/Europe encourages all European countries to join forces to advocate for reducing the risks to human health from lead through minimizing environmental and occupational exposure, particularly for children and women of childbearing age. To mark Lead Poisoning Prevention Week, a number of governmental institutions and nongovernmental organizations in Albania, Armenia, Azerbaijan, Bosnia and Herzegovina, Georgia, Kazakhstan, Kyrgyzstan, Lithuania, the Republic of Moldova, the Russian Federation, Slovenia and Ukraine are participating in the campaign to raise awareness on lead toxicity. Activities range from workshops with government authorities and regulators, the private sector, manufacturers, consumers, workers, trade unions, teachers, parents and health care providers to educational lectures, mass media and social media campaigns and flash mobs. 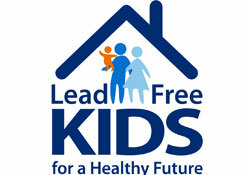 The activities reflect the countries’ various priorities related to eliminating lead poisoning. Exposure to lead is declining due to the implementation of strict control measures against the use of lead and its release into the environment. One of the most effective actions globally has been the phasing out of leaded gasoline. Numerous human biomonitoring studies confirm that this has led to a significant decrease in blood lead levels in children. However, there are still many sources of lead exposure. In addition to lead paint, lead is found in emissions from industrial processes and waste management, in drinking water (due to the use of lead in water pipes), in consumer products such as toys, cosmetics or jewellery, and in lead-acid batteries. WHO/Europe invites all countries of the Region to develop and enforce legislation against lead paints. Additionally, it encourages countries to implement other chemical-risk reduction strategies, including strict control of lead-containing products. Building partnerships between relevant stakeholders is critical to reducing the risk to human health from lead exposure.